Discussion in 'Diablo 2 Community Forum' started by fbrooks, Oct 20, 2006. Sweet, never seen it before. And we get this thread several times a year. Yup, i even remember posting that ... 2 years ago. Hmm, I checked the CDs, but I cannot find it. Which CD is it and what's the name on the movie file ? Hmm, I checked the CDs, but I cannot find it ? Which cd is it and what's the name on the movie file ? Put in the Classic Play disk and do not boot the game. Navigate to the drive the disk is in and select the explore option when you right click. I forget the file name, but it should have a small image of a red and blue whirlwind type thing next to it. Edit: The file name might be D2COM1 or something like that. I coudn't find it on my discs when I went looking last time this video came up, but you can download it off of the Blizzard website IIRC. I did find this interesting though - An early version of the Paladin? Looks like what would happen if you built d2 directly out of the original diablo engine. It might be the LOD disk too, I haven't gone looking for it in some time. I checked all of them. It may have only been on early releases of the disc, I bought mine in the battlechest, so it would've been printed after LoD was released. It's not on my CDs as well, probably because I have the German version. Select "It's Everywhere" from download site 2, else you will be forwarded to Fileplanet where you need an account for downloading. Hmmmm, those paladin auras look pretty weird, especially that giant blue ring one. I like the auras like that, but I'm so glad the kung fu sound effects didn't make it. I think certain Blizzard people were in a drug induced haze at the time ...hence the weird auras. and whos the big dude playing video game? is it the barb again? Yes, the big guy playing the game is the barb. 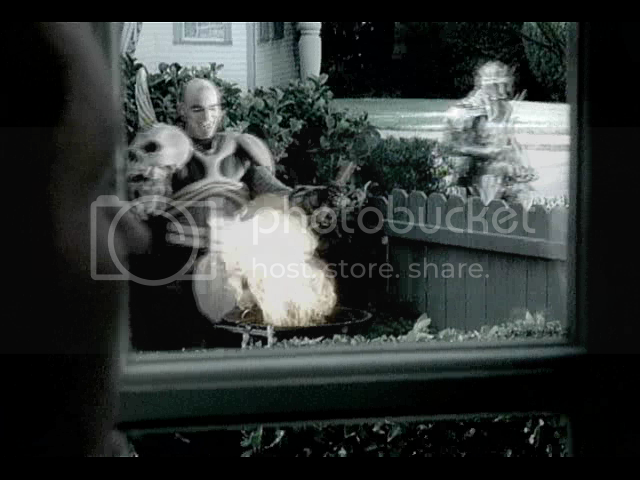 And if memory serves, the Paladin walks by in the background, when they're showing the necromancer barbequeing. youtubes video doesn't have too good quality, someone with a disk that contains it could probably cheak? Yep, that's him, sorry my pic is blurry.